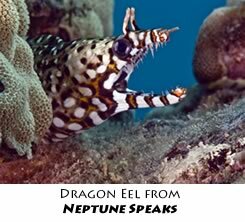 Neptune Speaks to the peril of trafficking in wildlife for the pet trade. Why are colorful reef fish still taken in Hawaii with no limit on the catch, no limit on the number of catchers and no constraint on rare, endemic or vanishing species? 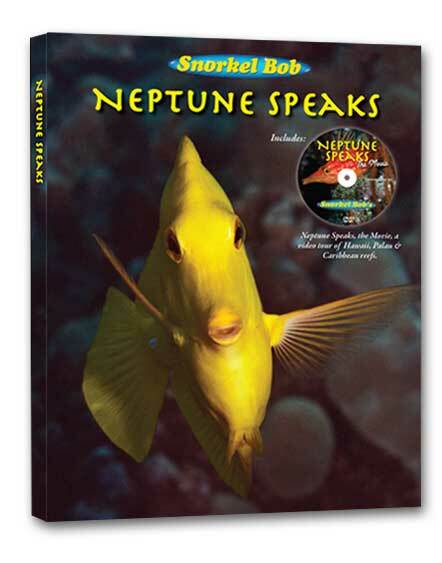 Click here for Neptune Speaks movie trailer, flipbook page samples, author bio & more. 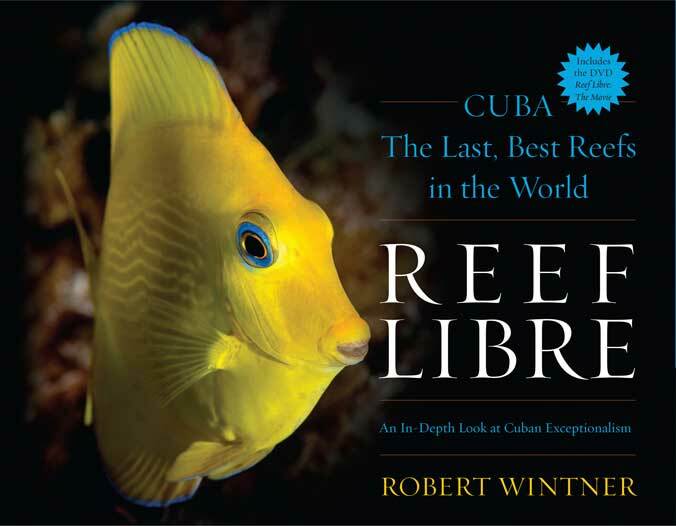 REEF LIBRE is not a travelogue but asks the big questions after a lifetime of isolation…can Cuba reefs still thrive? Nearly 400 stills, a compelling narrative and a DVD capture this delicate time in reef history. REEF LIBRE, the Movie, is a mini-documentary, capturing this pivotal time, from the streets to the reefs. The Hawaii aquarium trade has no limit on its catch, no limit on the number of catchers and no constraints on rare, endemic or vanishing species. This is a last vestige of corruption in wildlife trafficking for the pet trade. Every Fish Tells a Story, some pretty, some ugly. Reported aquarium extraction in Hawaii is about $2 million annual. Reef-based tourism brings 400 times as much—$800 million annual. The State of Hawaii calls aquarium collecting “our most lucrative inshore fishery.” Nearly all Hawaii people want it banned, but it drives a MULTI-BILLION DOLLAR TRADE on the mainland—and that drives the resistance. A painfully frequent question at Snorkel Bob’s: Where are the fish? Many butterflyfishes and the Moorish idol will starve to death in 30 days without live coral to graze—yet they ship out daily with a 15-day live guarantee. 60-80% of the aquarium catch are yellow tangs—herbivores who graze coralline algae dawn to dusk. Algae suffocation now threatens many Hawaii reefs. Coral and live-rock extraction and possession are banned in Hawaii, but you can get an aquarium permit for $50 and take every fish from any reef not in a Marine Protected Area—98% of Hawaii near shore reefs are open season for the aquarium henchmen. Aquarium keeping is a new status hobby in China, with emphasis on 3-wall, floor to ceiling tanks and adult (brood) fish. Chinese aquarists now want big eels—caught in mere minutes in a short length of PVC pipe closed and baited at one end. Hawaii brood morays, dragon eels, yellow margin, white mouth and many other species are shipping out with no limits. Eels require no license or permit. 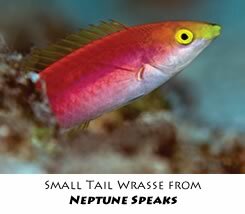 Th e Hawaiian cleaner wrasse is considered charismatic and in demand by the aquarium trade, though he’ll starve in 30 days without 30-40 other fish to clean daily. 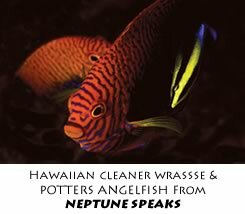 Hawaiian cleaner wrasses protect a reef community from parasite infestation, yet they ship out daily by the hundreds with no limit, no constraint. Over 100 species of fish are collected in Hawaii – 7 of those species comprise 90% of the harvest: yellow tang, Kole, Achilles tang, orangespine unicornfish, longnose butterflyfish, multi-band butterflyfish, and moorish idols.